This hand-lettered, pen-and-ink illustrated sequel to the Moosewood Cookbook features over 200 vegetarian recipes and a bounty of kitchen guidance from one of America's dearest cookbook authors. 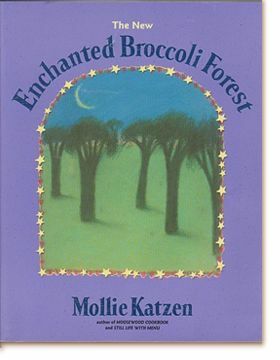 This million-plus-selling, well-loved tome was revised in the mid-1990s to reflect lighter, easier-to-prepare versions of Katzen’s signature recipes, featuring such timeless favorites as Curried Peanut Soup with Fried Bananas (favorite of John Cage and Lemony Snicket); Inspiration Soup; Chilled Asparagus in Dilled Mustard Sauce; Dill Pickle Potatoes; Green Chile and Cheese Cornbread; Squash Bread; Greek Pizza; Russian Carrot Pie with Nut Crust; Broccoli and Tofu in Spicy Peanut Sauce; Persian Eggplant; Amaretto Cheesecake; and Real! Genuine! Chocolate Pudding.